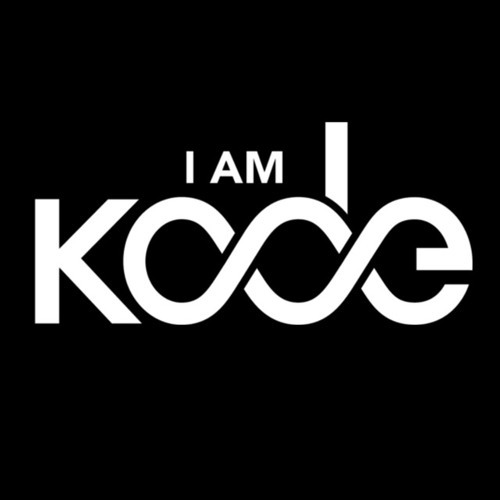 The official SoundCloud music page for British producer, singer and songwriter I AM KODE. Watch the official video for Flood: https://youtu.be/kFoFekg51Vk W: http://iamkode.com Born and raised in SW London, I AM KODE is a British musician, vocalist and producer with a passion for crafting infectious electronic-based dance music. His sound features punchy vocal hooks, catchy choruses and addictive synth melodies, bringing together a fusion of unique standout vocals with modern sharp production. Debut single ‘Flood’ is an upbeat hard-hitting performance of gritty vocals, provocative lyrics and instantaneous impact. Second single ‘Come Steal My Soul’ adds another dimension, with its dark driving bass line, hooky chorus and I AM KODE’s contemporary production signature. In contrast, the haunting ‘Let Them Stand’ is a downtempo number offering haunting vocals partnered with emotive synth lines and a compelling chorus. An exciting young talent, I AM KODE is releasing his debut album ‘Never Surrender’ on independent label Downtown 82 Records in 2018. Entirely self-produced, written and performed, the album is an outstanding and eclectic collection of dance music and electronic influences, showcasing the versatility of this fledgling new artist. Genres: EDM/ Electronic All songs and vocals composed, performed, recorded and produced by I AM KODE in London, UK. Songs mixed and mastered by Doctor Mix in London, UK. Artwork/Photography – © Hazel French/Richard Carter/Darran Armstrong/Josh Taylor/Collective Creative All content - © Downtown 82 Records Ltd 2017. All rights reserved.